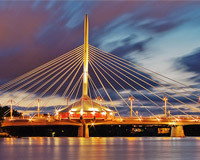 As the capital and largest city in Manitoba, Winnipeg is intimately connected to the province’s mineral trade. Often referred to as the “Gateway to the West,” the city is a major logistical hub for carriers moving to and from Manitoban mines, as well as a major manufacturing center that puts those minerals to use. Hot Shot Trucking plays a crucial role in this process, providing the rapid deliveries that Winnipeg needs to thrive. 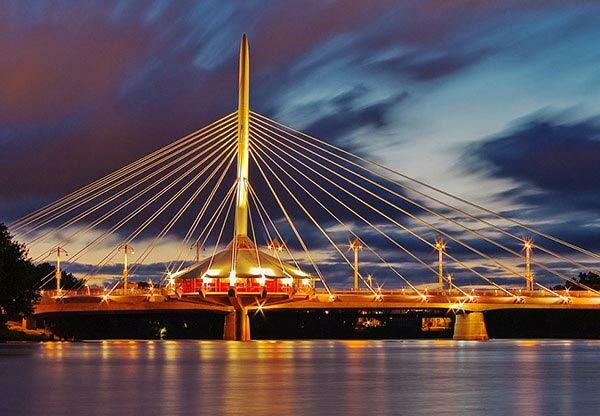 Given its status as a major trade and manufacturing center, Winnipeg is a common stop along journeys of thousands of kilometers. Not only do the city’s factories export finished goods throughout North America, but carries also pass through Winnipeg on their way to and from Manitoba’s mines, as well as in journeys across Canada. This trend brings valuable business to the city, but it also creates safety issues while causing regular congestion. Hot Shot Trucking is committed to keeping congestion to a minimum and safety to a maximum. We have extensive experience working with firms from dozens of different industries, and have long served Winnipeg, Selkirk, Stonewall, Cartier, and other cities and towns in the area. Deft Dedication - Each time you place an order, we will earmark a truck to handle it and nothing else. This facilitates the use of specialized equipment needed to safeguard your goods. It also ensures more rapid deliveries, as we won’t have to visit other clients' destinations before we get to you. Size Specificity - When choosing a vehicle for your order, we take into account the volume of your goods. We then decide whether you need a sprinter van, straight truck, or tractor trailer. By ensuring the order and the truck are similar in size, we minimize service costs. Committed Contact - Hot Shot Trucking represents a single hub of information for all clients. At any point in the delivery, you can contact us to receive answers to your questions, hear updates on your order’s position, and give new instructions for delivery. Our Hot Shot service specialists are always ready to listen and respond. Continental Collaboration - In addition to Winnipeg, we have coverage in Vancouver, Toronto, Montreal, Calgary, and Edmonton, as well as in much of the United States. Thus no matter where you need to ship from, we can load your order in less than 2 hours and head directly for you. Tenacious Team Driving - To keep long deliveries both quick and safe, we place two drivers in each Hot Shot truck. One driver will operate the vehicle until she is too tired to continue, and then switch with the other and sleep. Both will thus be sufficiently rested to drive safely, even as the vehicle remains in operation at all hours. Hot Shot Trucking has a fleet of more than 10,000 vehicles, which we keep in premium condition through regular inspections, repairs, and upgrades. To learn more about our services or receive a free freight quote, call (587) 332-0855 or visit our website today.